Temporal optics is a new and evolving field, and utilizing it can revolutionize optical data processing. 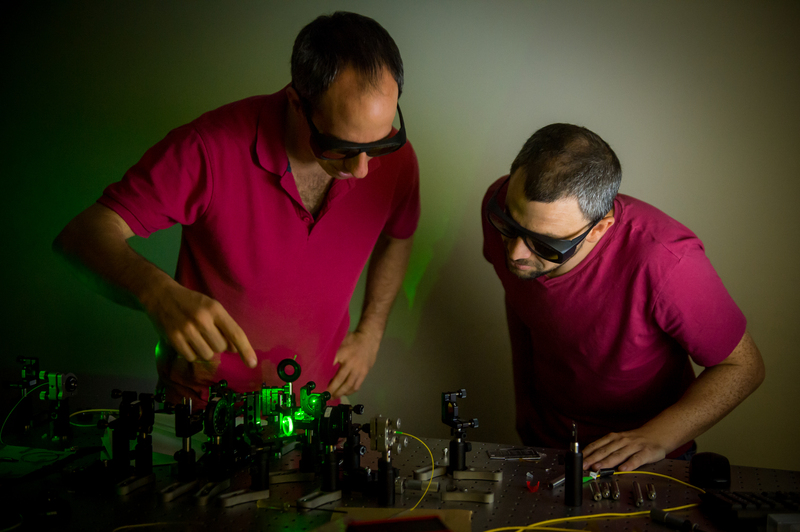 Our lab focuses on developing advanced temporal optics devices such as time-lenses, temporal microscope, temporal cavities, etc. We design, fabricate and assemble the main building blocks of the temporal schemes which are the ultra-fast laser and the highly nonlinear fiber. Thanks to these abilities, and together with the experience in complex temporal schemes we are able to pursue advanced temporal schemes which were never been done before. Our temporal devices are useful for basic research of ultra-fast phenomena as well as for the telecommunication industry leading toward full optical data processing.